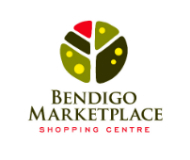 Be.Bendigo connects partners to our wider business community. We facilitate introductions to strategic opportunities, business networks, thought leaders, high value projects, government and – if possible – potential clients. By collaborating with the visionary people and organisations that are a part of Be.Bendigo, we can provide meaningful connections for your business – the first step toward building a partnership that lasts. Join our collective membership family and partnered thought leaders as we advocate for investment and conditions to support business continuity and growth. Be.Bendigo connects partners to our wider business community. We facilitate introductions to strategic opportunities, business networks, thought leaders, high value projects, government and – if possible – potential clients. Find out how you can join our collective membership family and partnered thought leaders as we advocate for investment and conditions to support business continuity and growth.